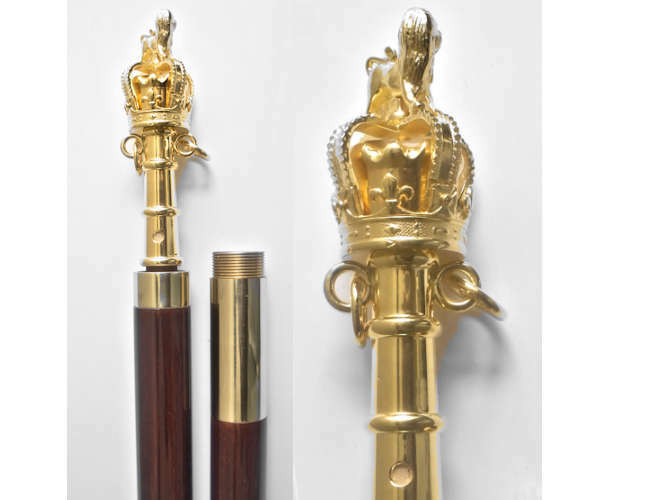 Quality flagpoles with lion and crown finial in gold colour finish. This is great for parades and is as superb flag pole with lion and crown finial. This is a beautiful flagpole in rosewood with gold fittings and comes in 2 sections of 4 foot each. Gold colour finial in a lion crown design. 2 section pole with screwed joints. Polished to a high shine.